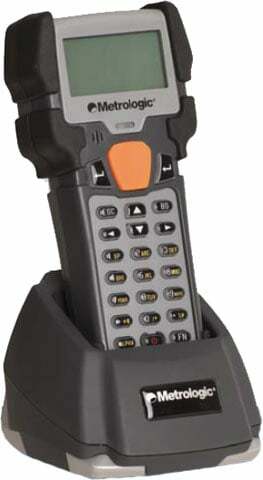 Metrologic's SP5600 OptimusR mobile computer provides a rugged solution for batch data collection applications in demanding warehouse and distribution center environments. Impervious to water, dirt and dust, Metrologic's SP5600 OptimusR provides a robust solution for efficient batch data collection in any demanding environment, including: inventory in dusty warehouses or steamy stockrooms, receiving products on wet loading docks and picking applications in freezing distribution centersBesides an IP65 rating, SP5600 OptimusR's reinforced housing protects it in falls from heights as high as 1.2 meters. ScanPal software (C Compiler, APP.GEN., Utilities CD and License). Non-Cancelable/Non-Returnable. Basic COMP (APP GEN, Utility CD and License) for the ScanPal 2. Non-Cancelable/Non-Returnable. The Metrologic MK5602-69B614 is also known as Metrologic Instruments	MET-MK5602-69B614	or MK560269B614	.